It's July, so it's officially fireworks fundraiser season. 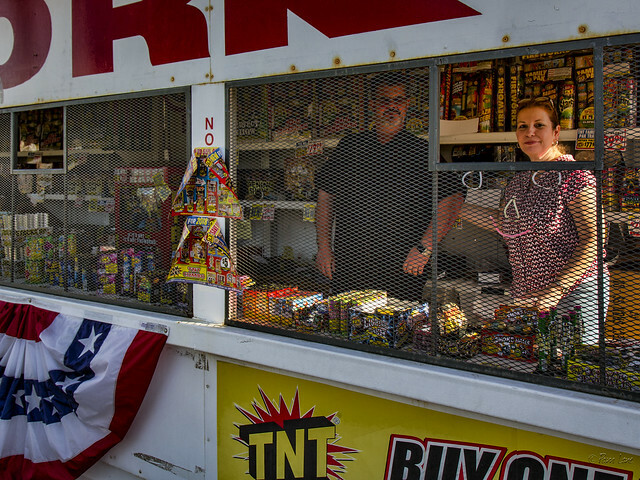 The fireworks stands are all open now, waiting for the onslaught. This stand in front of the Ralph's market is sponsored by the Downey Rose Float Association.